Last week I showed you how you can analyze your performance. We have now covered most of the basics of how TSM works and some of the thought processes that goes into deciding price levels, durations etc. Today I will show you how you can use Mailing to save a ton of time. 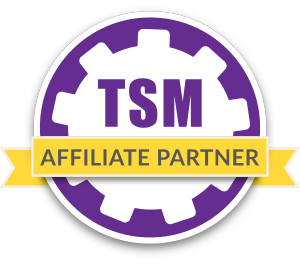 Your groups in TSM can have one or more mailing operations applied to it. Mailing operations allow you to set rules for mailing and then send all your items or materials to the appropriate alt with one click. The operations can be simple or complex. This feature is a massive time saver, especially when you are crafting stuff like honorable combatant gear where mailing them all manually is a major chore. Mailing is governed by a specific type of operation. 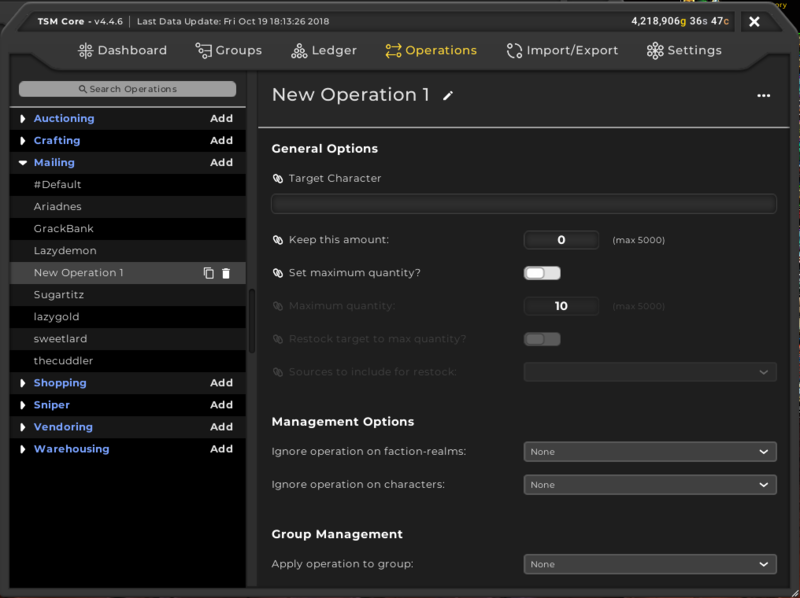 As with other forms of operations we can make an operation from the operations view of a group or from the main TSM operations view. Mailing operations are fairly simple as you can see from the settings view above. The first field is the target character and it defines which character this operation will mail items to. It is obviously extremely important to write the correct character name as otherwise it will send the items to someone else without any confirmations. The second part of the operation settings are related to quantity. If you don’t change the default settings the operation will mail everything you have in the related group to the target character. I use this setting for most of my mailing operations, but there are cases where you don’t want to mail it all to one character. You could setup operations to mail 100 ghost iron bars to each of your engineer alts doing sky golem cooldowns for instance. This setting should be fairly self explanatory. If set you will keep a certain number of the item in the group. This can be useful if you want to keep a certain number of materials on one of your crafters. By default this is zero which means it will mail all of your items in the related group. If you check this box you get access to the maximum quantity setting. The maximum quantity field is also quite self explanatory where you can set a maximum amount to send. This can be useful if you want to mail an item to more than one alt. 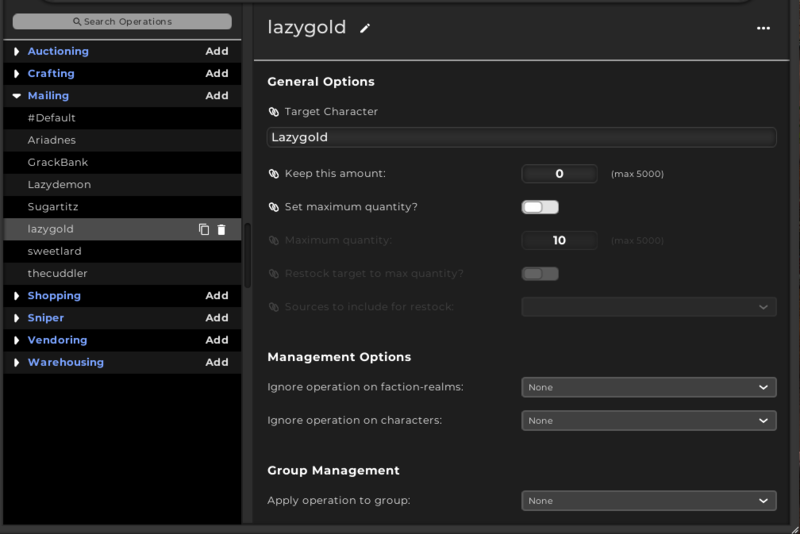 This is especially useful if you are running a ton of daily cooldowns as you can setup an operation to mail out materials equally to all of them in batches of 20, 50 or 100 whenever you are shopping. I have not used restock target to max quantity yet, and it is generally not needed, so you can stick to the above settings for most of your needs. You will have to tailor this to your own set of characters as both the target characters and combination of professions you have will be unique to you. You will want to name them something that indicates that they send everything. A simple convention would be Character Name – Amount. This ultimately down to personal preference though, just name them something that makes it easy for you to figure out what it does. The first thing you want to do is to make a basic operation for each of your characters. This one will mail all the items in the related groups. I actually stick to just these operations at the moment as on my challenge realm my materials are only used by a single character each. Once you’ve set them all up, they should look something like the screenshot below. I use these for most of my items. 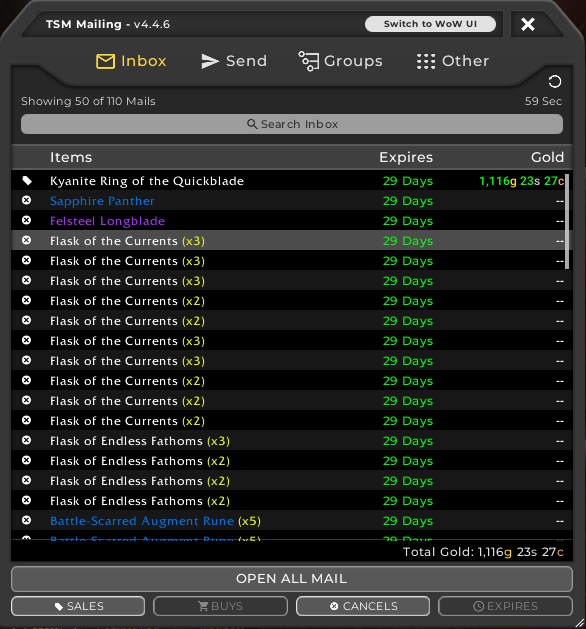 I send all my cloth to my tailor for processing, and I send all my finished crafts back to my bank alt. Once you have your mail everything operations you may want to add some operations with a limited quantity. As mentioned above this is mostly useful when you have more than one character that uses a material. An example I mentioned earlier would be operations that mail up to 50 or 100 ghost iron bars to your engineers for Jard’s crafting. You could also make operations to mail a certain number of herbs to your alchemist and the rest to your Inscription alt. As usual TSM will prioritize filling the top operation applied to a group. If that one doesn’t have a cap it will mail all your items to that character. This only matters if there are items you want to split up, as otherwise you can get really far with just one operation per alt. When you open a mailbox with TSM it will look like the screenshot below. 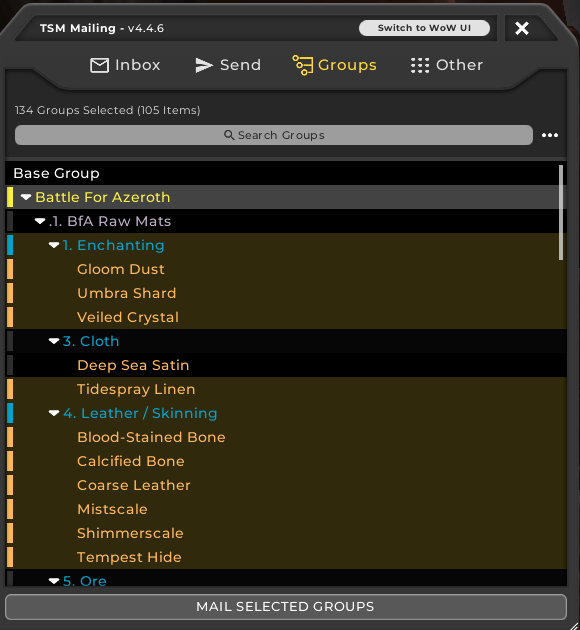 To mail items using your groups you need to click the Groups button at the top. This will give you a view of all of your groups that have a mailing operation applied. Select the groups you want to send and click Mail Selected Groups. Once you click the button it will execute all your mailing without any confirmations, so make sure your target characters are set correctly. In this post you learned how to make mailing operations to quickly send items between your characters. You also learned how to use the operations and some of the settings you can use for more sophisticated mailing setups. 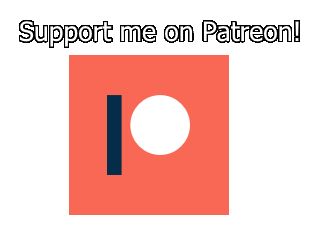 Let me know if there’s something you want me to dive deeper into or if you have a case you want help with!